The icon of Saint Edward the Confessor was installed in the church for the opening of the 125th Jubilee Year of the parish. 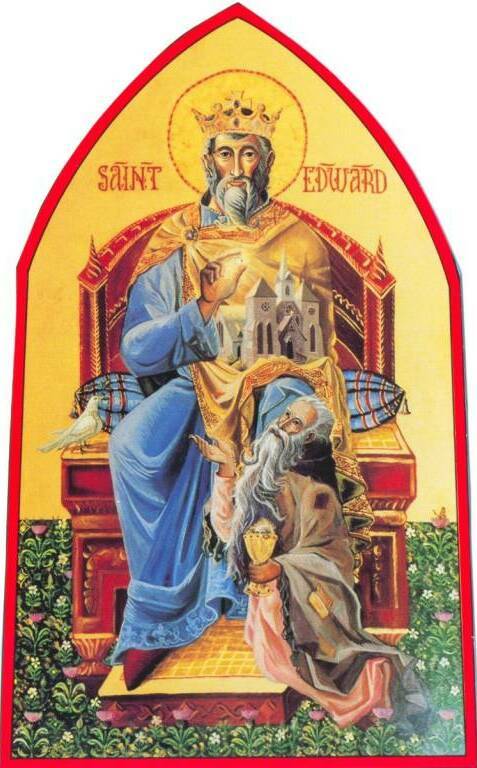 Saint Edward the Confessor was King of England and the builder of Westminster Abbey (Westminster Cathedral is all the remains of the Abbey today). He led an exemplary life of holiness as a daily communicant, a restorer of peace to his kingdom, and he had a great love for the poor. Edward also had a special devotion to Saint Peter and Saint John the Evangelist. This magnificent icon, painted especially for our parish by Father Joseph Dorniak, OFM Conv., depicts a time towards the end of Edward’s life when Saint John appeared to him disguised as a beggar asking for alms. Edward had no coins or money to give him; however, his love for the poor prompted him to give the “beggar” his coronation ring. The painting depicts Saint Edward holding his “ring of charity” as he is about to give it to the beggar. Later pilgrims on their way to London met the same beggar and asked him:”Which way to the King?” The beggar pointed to the road and said to them, “This is the way, and when you meet the king, give this, his ring, back to him and tell him that Saint John will come for him to take him to heaven soon.” The pilgrims did as he asked. Saint Edward died in January of the following year. This icon also represents a story within a story. Notice also that the beggar is holding a chalice in his left hand. The symbolic chalice with a serpent protruding from over its edge tells the viewer of the icon the identity of the beggar. The chalice with a serpent on the rim is one of the symbols of Saint John the Evangelist. Legend has it that when Saint John was on the Island of Patmos, a pagan priest dared him to drink poisoned wine, saying that if John’s God was so great, he could drink it and no harm would come to him. Saint John blessed the wine and a serpent crawled out of the chalice. He then drank the wine, and indeed, no harm came to him. The ‘little white hump’ that is visible on the chalice is the top of a skull denoting that the wine is poisoned. Saint Edward Parish has a rich religious history and much to be proud of and to remember. A tremendous amount of change and growth has taken place. The parish has grown from 250 souls to 1,800 families. We are grateful for the faith and the devotion of the parishioners and clergy, both past and present, who have given us a strong and viable Catholic community. First Mass: The first Catholic settlers arrived in Stafford in 1849. These immigrants worked on the New London Northern Railroad being built from New London to Canada. The Rev. Luke Daly, a pioneer missionary in Connecticut, first celebrated Mass in Stafford for these Irish families in November 1849. A second Mass did not take place until March 2, 1850. Seven more families arrived, enlarging the community to 40 Catholics. That same year the Rev. Michael McCabe visited Stafford as often as possible to serve this nucleus of a future parish. Masses were said in private homes and in the public schoolhouse. The Rev. James Smyth of Windsor Locks began to make quarterly visits to Stafford. He was succeeded by the Rev. Peter Egan in 1855, when Stafford became a mission of Rockville. Father Egan celebrated Mass bi-weekly in Oronoco Hall on Main Street. Starting in 1857, the Rev. Bernard Tully also came every two weeks, as did Rev. H. J. O’Reilly, for another year and seven months. When Rev. Florimond DeBruycker became the pastor of Willimantic in May 1863, the Stafford Springs mission was assigned to him. First Baptism: The baptismal register for Saint Edward Church begins on October 23, 1863, the day Francis Patrick Cooney and James O’Donnell were baptized. First Marriage: Telesphore Bertrand and Catherine Brousseau were the first couple married on February 19, 1865. 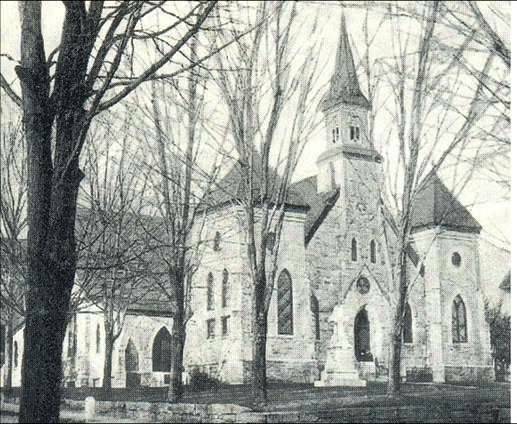 First Catholic Church: Land for Saint Edward Church was purchased from Lewis Parkess for $100. In October 1866, Father DeBruycker began the construction of the first Catholic Church. The stone for the original structure was donated by Cornelius Flaherty from his local quarry. 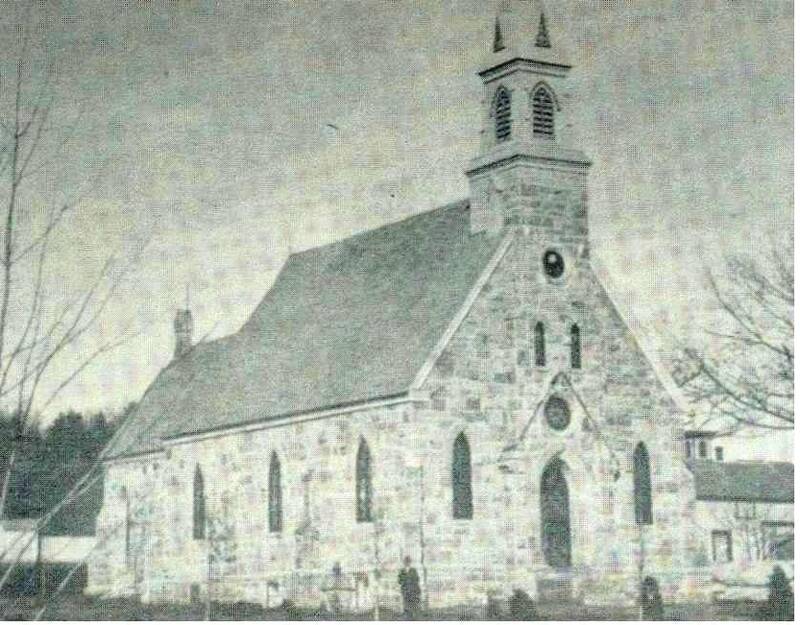 The church had seating for 400 persons and was completed in November 1867. The first Mass was celebrated in the new church November 24th. On March 10, 1868, this first church was dedicated under the patronage of Saint Edward the Confessor. The parish comprised of 250 souls at that time. First Election of Trustees: On May 16, 1869, the first recorded election of trustees was held. Shortly thereafter, Father DeBruycker organized the Catholics of Stafford into a corporation according to the laws of the State of Connecticut. The certificate of formation of St. Edward’s Catholic Society of Stafford Springs is dated September 3, 1869. First Resident Pastor: On November 9, 1872, Rev. Peter Shahan began his six years of administration of Saint Edward Parish. Father Shahan made notable improvements to the parish. He purchased land around the church, remodeled the building, erected a pastoral residence, built St. Joseph Chapel in Staffordville, and purchased 30 acres from the Converse estate for its cemetery. First School: Father Shahan began construction of Saint Edward School in 1874. 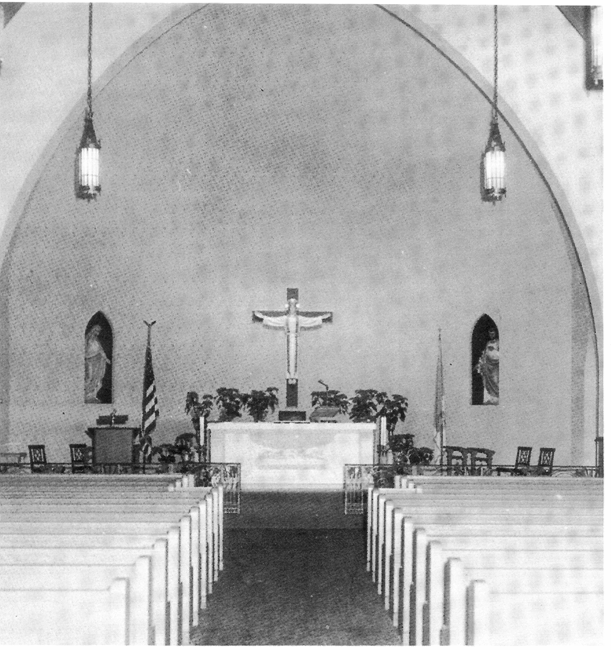 During construction, classes were held in the church basement. The new school opened in the spring of 1875 with 75 pupils and lay teachers. The building cost $1,000 and was located where Saint Edward Hall stands today. In January 1877, Father Shahan bought a house on Highland Terrace for a convent. In May, four Sisters of Mercy from Hartford took over the teaching duties at the school. 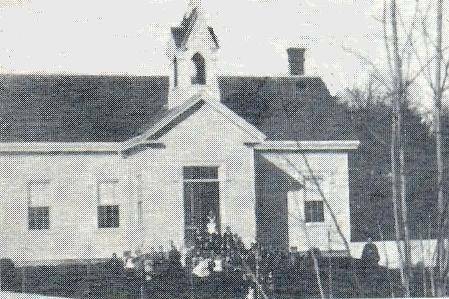 When Saint Edward School opened in September 1877, the enrollment was 120 students. In the spring of 1878, Rev. Thomas Broderick was appointed the second pastor of Saint Edward Church. He found the parish well-equipped and worked to decrease parish indebtedness. His successor, the Rev. Patrick Donahue, also reduced the financial burden of the church. He also purchased a house on High Street for a convent for the Sisters of Mercy. The Rev. Michael McKeon was named the third pastor of Saint Edward Church in November 1881. Under his administration the parish debt was liquidated; and when he was promoted to another position, the church was solvent with $1,000 in its treasury. Period of Construction and Growth: On January 1, 1886, the Rev. John D. Coyle, who had served as assistant to Father McKeon, was named pastor. He spared no time or money to increase and beautify the parish property. The rectory, the school building and the little church were too small to accommodate the increasing number of parishioners, so Rev. Coyle began Saint Edward’s great period of construction. He first enlarged the school to four classrooms and constructed a parish hall on the second floor. With a seating capacity of 400, it was the largest in Stafford and became the center of entertainment for many years. It was in constant use for dances, traveling shows, plays, bazaars, minstrels, Stafford High School Class Nights and graduation exercises. The cornerstone for the enlarged church was laid on November 6, 1886. The new side towers and wings increased the seating capacity to 600. 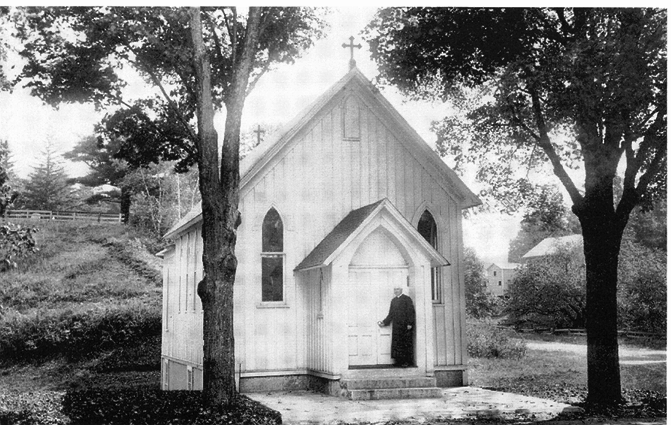 The rebuilt church was dedicated on October 14, 1888, with Bishop McMahon presiding. 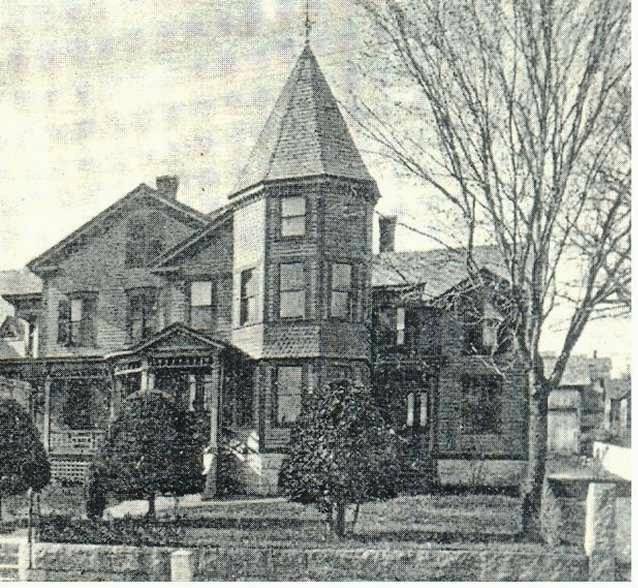 In 1889 and 1890, the rectory was also enlarged. 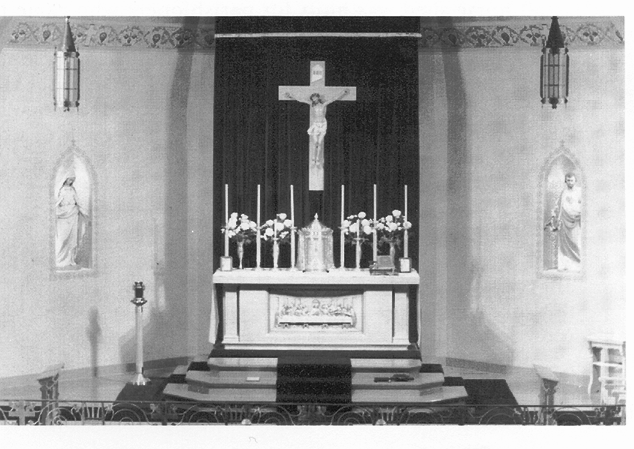 These improvements cost over $40,000, but Father Coyle labored so enthusiastically, and parishioners contributed so generously, that when he left in May 1895, the parish was only $12,000 in debt. The Rev. Daniel H. Lawlor succeeded Father Coyle as pastor on May 20, 1895. He was loved by all his parishioners. However, conditions in Stafford were extremely discouraging. Hard times and factory fires depleted church membership and income. Father Lawlor died on January 7, 1897 and is buried in front of Saint Edward Church. The Rev. Richard C. Gragan arrived on February 1, 1897, but conditions grew worse. More small factories went up in smoke, more people moved away, parish buildings continued to deteriorate, money was scarce, and both pastor and parishioners became discouraged. Finally declining health forced him to request a less demanding assignment. Needed repairs to church property and empty pockets made it hard to find a successor to Father Gragan. After being turned down by eight parish priests, Bishop Tierney finally asked his first assistant at the cathedral to accept the assignment. This priest, the Reverend Felix J. O’Neill, assumed pastoral charge on September 23, 1900. Older parishioners remember Father O’Neill as the amiable poet in love with everything God created. His devotion to his flock was legendary and counteracted the most difficult depression in the history of Stafford. During his first seven years, Father O’Neill drew no salary by choice and donated more than $5,000 to the parish. Parishioners also gave of their time and energy to preserve parish property. Five hundred men, women and children helped to enlarge and beautify the cemetery. Gradually necessary repairs and improvements were made to all parish properties. Everything inside the school and hall was renewed. The stage received new scenery showing Main Street with all of its business blocks. The main drop curtain was painted with a scene of the Irish countryside, the “Vale of Avoca”, a part of Ireland beloved by parishioners. An eight-stall horse shed was built for parishioners who came to Sunday Mass by horse and buggy. The most visible change in parish property during this period took place in 1920. The Desmond house adjoining the rectory was purchased, and the convent across the street was sold. 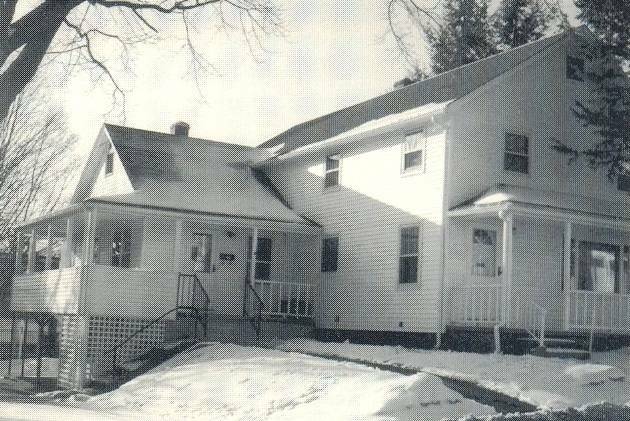 The new property was completely remodeled and served as the convent until 1959. Father O’Neill labored for 37 years in his beloved parish. He loved everything about Stafford and glorified it in his lyrical poetry. Father O’Neill died in his sleep on September 25, 1917, at the age of 77. The entire parish grieved over the loss of a friend, a spiritual leader and a tradition. The Stafford Knights of Columbus honored him by changing its name to the Rev. Felix J. O’Neill Council #1395 on August 13, 1944. Rev. Joseph Donnelly became pastor in October 1937. He substantially reduced the indebtedness of the parish and left the parish in very good financial condition when he left on April 25, 1946. Rev. John J. Loughran became pastor in April 1946. In 1947, he discovered that the church’s underpinning had weakened so badly that the floor in the sanctuary and the front of the church were sagging. Father Loughran took this opportunity to completely renovate the interior of the church. On October 12, 1947, the Rt. Rev. Bishop Henry J. O’Brien of Hartford blessed the renovated sanctuary with its new altar and sacred concomitants and celebrated a Mass of Rededication. Rev. Francis D. Morrissey became pastor of Saint Edward Church on February 7, 1948. The Diocese of Norwich was formed and Saint Edward parish became a part of the new diocese under the leadership of Rt. Rev. Bishop Bernard Flanagan. Construction of New School: Construction of the new Saint Edward School began in January of 1954 and the school opened on September 12,1954 with 240 pupils and a faculty of six nuns and one lay teacher for seven grades. 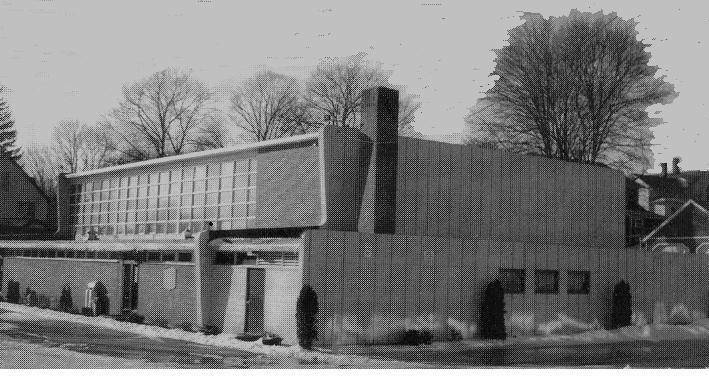 The dedication and blessing of the new school by Bishop Flanagan took place on September 26, 1954. New Hall: Once the new school was complete, the old school was razed to make way for Saint Edward Hall. Since opening in 1955, the hall has been a center of parish activity. Father Morrissey was succeeded on June 4, 1958, by his assistant, Rev. Charles O’Leary. In 1959, Father O’Leary bought the Mitchell property across from the old Johnson Memorial Hospital as a convent for the Sisters of Mercy. Father O’Leary passed away while serving the parish on January 6, 1960 and is buried in Saint Edward Cemetery. Rev. George F. X. Reilly became the next pastor on April 28, 1960. He was succeeded by Rev. Bernard McGurk on July 1, 1965. 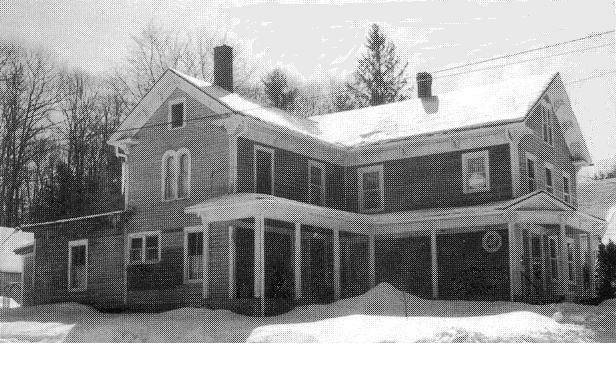 In 1967 the home on 6 Benton Street was purchased for use as a convent. This was the parish’s fifth convent. It currently serves as the parish office. First Centennial: During Father McGurk’s pastorate, Saint Edward Church celebrated its Centennial. It was rededicated on March 10, 1968, just 100 years after the first dedication. The Rt. Rev. Bishop Vincent Hines blessed the renovated church and celebrated High Mass. Extensive renovations were done for the Centennial. The interior of the church was refurbished and the lighting system rewired and upgraded. The Stations of the Cross were replaced with painted carved figures. New pews were installed, the organ was brought down to the main floor, and pews were put in the choir loft for additional seating. Carpeting was installed in the aisles and the sanctuary. A wooden cross with a carved figure of Christ was installed and the backdrop removed. Vatican II: With changes to the liturgy of the Church due to Vatican II, the altar was brought forward so that the priest could say Mass facing the congregation. The altar rail was removed and the faithful stood to receive Holy Communion. Mass was said in English and the congregation was invited to participate in the prayers of the Mass and to sing. Sunday Vigil Masses were initiated Saturday evenings at 5:00 and 6:15. Lectors volunteered to assist the priest with the first and second readings before the gospel. Doing away with the Latin Mass enabled all to participate. Communicants were given the option of receiving the Host on the tongue or in the hand. Rev. Hugh Murphy succeeded Father McGurk in September 1971. 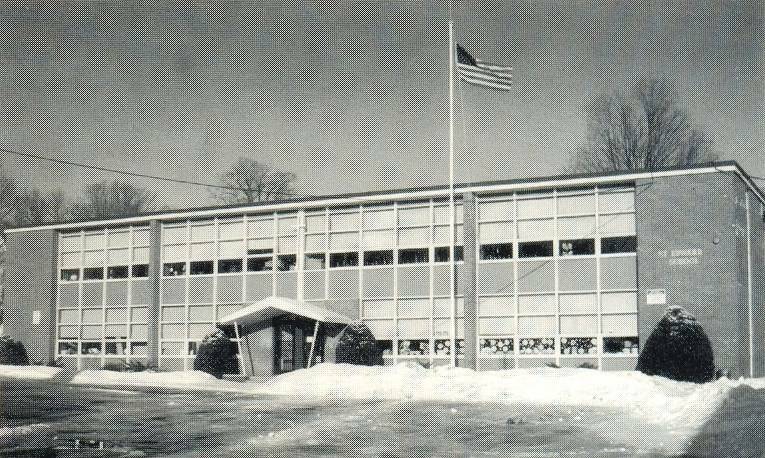 In 1972 the school was forced to close its sixth, seventh and eighth grades due to declining enrollment and the expense of having to hire more lay teachers to supplement the dwindling number of teaching nuns. Father Murphy remained at the parish until April 1977. Father Murphy was succeeded in June by the Rev. Anthony Kuzdal. Father Kuzdal was the first pastor of St. Edward Church who was not of Irish descent. He gradually reopened the upper grades and by the 1980-1981 school year, Saint Edward School was once again grades one through eight. Much credit must be given to Father Kuzdal for his excellent leadership in restoring a full grammar school. First Eucharistic Ministers: Father Kuzdal also appointed the first Eucharistic Ministers to assist the priest in giving Holy Communion and bringing Communion to homebound parishioners. 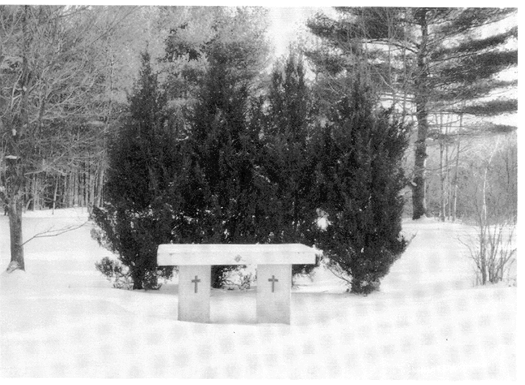 Church Cemetery Altar: In 1982, Father Kuzdal’s idea for an altar for the church cemetery was carried out by the members of the Knights of Columbus. Council members did all the work: installing the foundation, doing the cement work slab, and planting the trees and shrubs. This altar is used for the annual Memorial Day services each year and as a place of quiet reflection. Rev. Richard P. LaRocque became pastor of the parish in 1985. He initiated many improvements, including a new heating system in the church, the addition of a handicapped ramp and new main and side altars. The school and the parish hall received much needed repairs. Father Thomas Smith, his assistant, purchased a new organ and enriched the music liturgy of the parish. He also oversaw the expansion of the school program with the addition of kindergarten and pre-kindergarten classes. In 1988, Saint Edward Parish came under the directorship of the Franciscan Friars for the first time when the Rev. Francis Lombardo, OFM Conv. became pastor. Father Francis encouraged greater involvement by the parishioners in the decision-making and operation of the parish by expanding the roles of the Parish Council and Finance Board. He also instituted a Saint Edward School Board to help oversee school operations. Icon of Saint Edward: Father Francis also commissioned the Icon of Saint Edward for the sanctuary for the 100th Jubilee Celebration to create an awareness and spiritual devotion to our Parish’s patron. Parishioners donated both time and money to support a variety of restoration and renovation projects for the Jubilee; and as a result, all parish property was refurbished. All the buildings received repairs which made them more energy efficient and aesthetically pleasing. Plumbing and running water were installed at Saint Joseph Mission Church and its roof was repaired. The most obvious changes, however, took place in Saint Edward Church itself, where the stained glass windows were secured and re-anchored, the entire interior was repainted, the foyer was enlarged and a meditation chapel was constructed adjacent to the main altar. The year long celebration concluded on May 1, 1994 with a Mass of Thanksgiving celebrated with The Most Reverend Daniel P. Reilly, Bishop of Norwich as the principal celebrant. Father Richard-Jacob Forcier, OFM Conv. who served as Parochial Vicar under Father Frances became pastor in August 1997. Father Richard pastored the people of St. Edward for 13 years, a tenure second only to that of Father Felix O'Neill. He continued a tradition of caring for the church property by doing extensive repairs on the slate roof of the church, installing air conditioning in the church, fixing the floors in the gymnasium, installing a heated ramp to the side entrance of the church, replacing the front steps of the church. painting the school and designing a parish flower garden planted next to the friary garage. The two large stained glass windows in the sanctuary, as well as the six large windows on the sides of the church were removed, refinished and reinstalled. His pastoral care greatly strengthened the parish community and its organizations at a time when the Catholic Church as a whole struggled with a shortage of priests.. It was the great pastoral care and concern given to the people of the parish by Father Francis, Father Richard and the 12 other friars (Vincent Vivian, Steve Fernier, Vincent Boiselle, Mark-Thomas Booth, Dennis Sokolowski, Vincent Rubino, Hugh Dymski, Daniel Fink, Tom Lavin, Jude Surowiec, Tim Lyons, David Kashen) who ministered at St. Edward that most impacted the people of the parish. The friars modeled the Franciscan spirituality of joy in worship and in the spiritual life of the parish. Weekly Adoration of the Blessed Sacrament was instituted, as well as a renewed emphasis on parish missions, Stations of the Cross and additional masses during Lent, remembrance of the Transitus of St. Francis and other liturgical and spiritual opportunities provided to foster spiritual life and growth. The friars introduced the Secular Franciscan Order to the parish, which resulted in the canonical establishment of the St. Clare Fraternity. The friars were also instrumental in working with the ecumenical efforts of the Stafford Clergy Association and Safe Net Ministry. Activities such as benefit pasta dinners, tailgate picnics in the school parking lot and gatherings after Sunday Mass became a part of the life of the parish and fostered a sense of belonging for the parishioners. Several excursions for members of the parish, most notably to New York City and a whale watch, were also organized. The friars also provided opportunities for members of the parish to explore their faith in a wider context. Father Mark-Thomas Booth led a pilgrimage of parishioners to Italy in the spring of 2001. In 2002, Father Richard and Father Tom Lavin, parochial vicar, accompanied youth of the parish to World Youth Day in Toronto, where they were among the thousands that celebrated mass with Saint Pope John Paul II. In April 2007, 20 parishioners accompanied Father Richard and Father Tom on a pilgrimage to Assisi and Rome. The pilgrims visited and prayed in the holy sites most associated with Saints Francis and Clare, as well as praying at the Basilicas of St. Peter and St. John Lateran in Rome. During early 2008, the entire parish was involved in supporting the Francisca mission of St. Mary's Above Rocks in Jamaica. Parishioners, through prayers and donations, joined themselves to the work of the friars in Jamaica. Eleven parishioners and Father Richard brought the donated items to St. Mary's in April 2008 as part of a week-long mission trip to St. Mary's, where they were involved the tutoring of school children as well as repainting and repairing a building of one of St. Mary's mission churches. In June 2010, Father Richard was elected Provincial Secretary of the St. Anthony Province of Conventional Franciscan Friars. A festive, joyful celebration in honor of his service and dedication to the people of St. Edward was sponsored by the parish. Father Tom Lavin, OFM Conv. (who had earlier served as parochial vicar) was installed as pastor in October 2010. Father Tom's familiarity with the parish, and his kind, gentle pastoring style allowed for a smooth transition for the parishioners. Father Tom served as pastor for two years. Father David Kashen, OFM Conv., parochial vicar, succeeded Father Tom in October 2012. Both Father Tom and Father David continued the spiritual works begun by Father Richard, as well as continuing to maintain the parish facilities. Father David oversaw the needed replacement of more stained glass windows and had a new, all-purpose material floor installed in the hall, replacing the old wooden floor. Father David also expanded the church gardens. In 2014, the two Conventual Franciscan Friar Provinces on the east coast of the United States merged. This was a time of change for the friars, that necessitated changes in many of their ministry sites. Thus in September 2014, after 26 years of loving service, the friars left St. Edward Parish. A celebration for the friars was held on August 23, 2014, which was attended by many of the friars who had served the parish. This was a bittersweet time for both the friars and the parishioners, but was characterized by the joyful spirit that had been the hallmark of the friars in their time at St. Edward. The responsibility of ministry of the parish returned to diocesan priests. In a time of a priest shortage in the diocese, and following diocesan cluster meetings that had begun some two years, before, Father Roland C. Cloutier, who was serving as pastor at All Saints Parish in Somersville, was named pastor of St. Edward and the two communities were officially yoked. He suggested that the name of the new community be :The Saint Francis Community". Father Roland, with parochial vicar Father Martin Jones, began the process of forming a new community. He held a series of joint meetings of the parish councils, as well as forming an interparish council. Father Roland oversaw refurbishment of the confessional at St. Edward, and had a columbarium built at St. Edward Cemetery. A new sound systems, funded by the Knights of Columbus, was installed in the church as well. During his time as pastor, Father Roland also made a difficult decision relating to St. Joseph Mission Church, which had been used only during the summer months for more than a decade. In June 2016, after 138 years, St. Joseph's was sold. The yoked St. Francis Community was Father Roland's last assignment, as he retired in June 2016. The community hosted a combined 75th birthday/retirement picnic for him at the Knights of Columbus in Somers prior to this departure. Father Brian C. Maxwell, Administrator was appointed as administrator of the St. Francis Community in July 2016. In late 2016, a study of the St. Edward School was conducted by a national Catholic school consulting firm. The school had been facing challenges in both enrollment and finances for over a decade. The administration, staff and parents, as well as the parishioners, had worked tirelessly to keep the school open. The conclusions of the study indicated that it was not feasible to keep the school open, and resulted in the difficult decision to close our beloved Catholic school. The doors of St. Edward School, which had provided a loving, nurturing education based on Christian values, closed for the last time in June 2017. Father Peter Liszewski was appointed pastor in July 2018.